The words brilliant, or magnificent, or exceptional are often banded around when people refer to football players who left a marked impression, not the sort of 'impression' that Billy Bonds might have left on an unsuspecting striker, more something of great significance. Robert Frederick Chelsea Moore would have been 78 years old today, how 'truly great' it would have been for him to have a jar or two with Bonzo and Co ahead of walking out on to the pitch at the London Stadium to be greeted by the roar of fans declaring their adoration for the greatest defender of all time. Alas this was never to be, sadly Bobby passed away in 1993 at the ridiculously young age of 52 as a result of bowel cancer and medical complications. Having been an incredibly loyal servant, he played 647 times for the club, Bobby was treated atrociously, nowadays he would have been revered and looked after by the club. Instead he was left out in the cold both by West Ham United and the Football Association, shame on them, and shame again! No one is suggesting that Mooro's treatment by both club and country directly contributed to his early demise, but they didn't bloody help did they? In today's money mad game, how much would Bobby Moore in his prime be worth? His value would be stratospheric, £100-150 Million and counting, young Declan Rice is the closest player that the club have produced to Bobby, in fact in certain pictures, during play in certain areas of the pitch he does bear an uncanny resemblance to the great one. 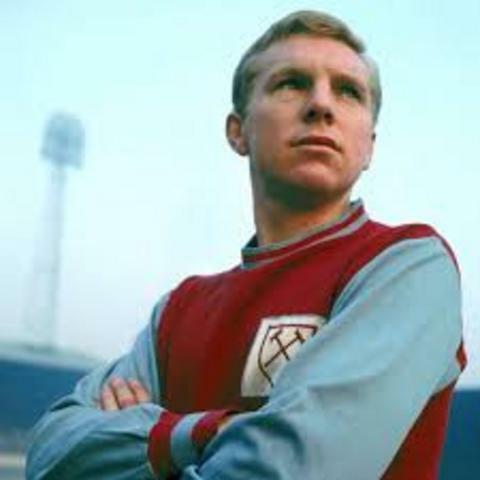 West Ham United never showed Bobby any gratitude for the fact that he, along with Geoff Hurst and Martin Peters were one of the reasons that the Academy ended up with a conveyor belt of talent including, Rio Ferdinand, Michael Carrick, Glen Johnson, Joe Cole and Frank Lampard to name a few! He was treated later in life,but one thing is for sure he will never be forgotten by the most important people...us fans! educational Or a figurehead role Or a sir trev role,i'll never understand it,what a waste.